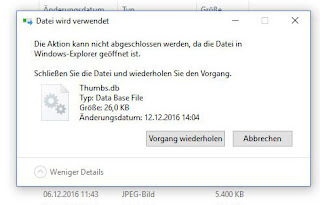 From time to time Windows users complain that they can't delete folders. The 1st level support people usually think it is some file system permission problem and escalate it to the sysadmin team. The error message is, that the file is in use. This is almost certainly not the case here. Change the view to "large icons" and back to "details". 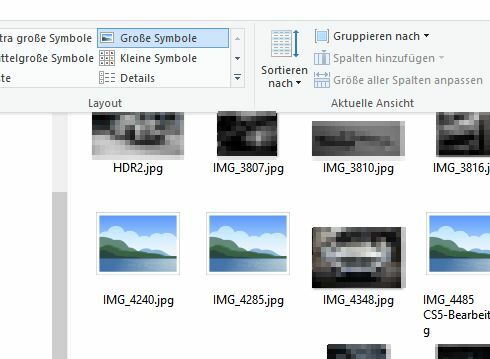 This apparently rewrites the thumbs.db file. 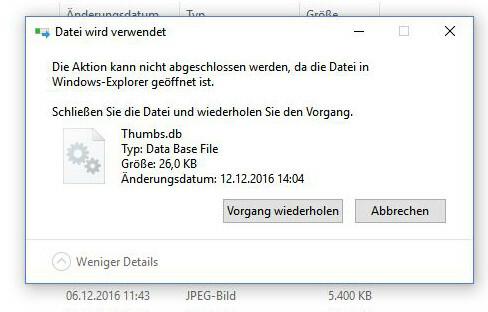 The thumbs.db file can simply be deleted then.